A native of rural east Mississippi, Phillip Thompson served in combat as a Marine, covered capital murder cases as a journalist, and wrote speeches for top military leaders in the Pentagon. He has worked as a reporter and editor at newspapers in Mississippi and Virginia, and his journalistic work has been featured in newspapers across the Deep South and the East Coast. Publishers Weekly described his first novel, Enemy Within, ” … as timely as the morning headlines [and] asks some probing questions about national apathy, the abdication of responsibility for one’s own country and the resulting decay of U.S. civil rights.” Thompson’s other novels include A Simple Murder and Deep Blood. 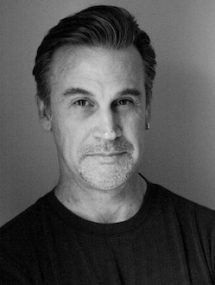 His short fiction has appeared in O-Dark-Thirty; The Dead Mule School of Southern Literature; Out of the Gutter Online; Thrills, Kills ‘N’ Chaos; Near to the Knuckle; Yellow Mama and The Shamus Sampler II. He also authored the non-fiction account of his Gulf War combat experience Into the Storm: A U.S. Marine in the Persian Gulf War. He lives in Virginia. Find him on Twitter at @olemissgrad38 and online at his blog, “Grace & Violence,” at http://kudzucorner.wordpress.com. Phillip Thompson explores Larry Brown’s rough south, digging deeper and seeking a truce with the interloping outside world, and Harper’s tormented inner world as well. Thompson writes about the tendency of a good man toward violence. The need to seek redemption for the sins of the past—even if that redemption is through more violence. Maybe especially. 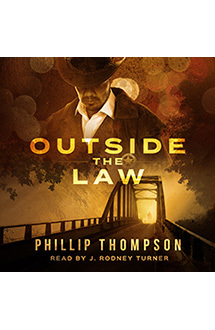 Outside the Law is my kind of book, and Phillip Thompson’s Mississippi is a rough south indeed. One I hope he’ll revisit. Thompson creates a noir-hard, meaty but grit-filled plot, coats it with a dark humor batter, then southern fries it.